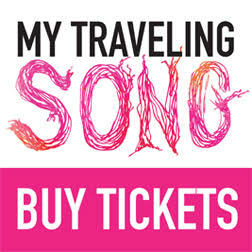 My Traveling Song Tickets Now Available! Anya Martin is a writer/director and Founding Artistic Director of Hiawatha Project. She is an Adjunct Professor in directing at Carnegie Mellon University School of Drama where she also received her BFA in Directing. Martin earned her MFA in Theater from Sarah Lawrence College with a focus on devised and experimental work. She is a 2011 Flight School Fellow with Creative Capital/Pittsburgh Filmmakers, a Pittsburgh Magazine “40 Under 40” honoree for 2013, a Carol R. Brown Creative Achievement Award nominee for Emerging Artist in 2016, and her play “Helen at the Gym” was a winner in RedBull Theater’s 2018 Short Play Festival in NYC and will be published with Stage Rights in 2019. ALEC Exposed: Did Prisoners Make Your Lunch?